2019 is already shaping up to be a significant year for Blue Abyss fans! We’re only a couple of weeks into the new year and have received exciting news. “As 2019 gets underway it feels wonderfully appropriate to be able to share with you some significant and very positive news about Blue Abyss. …With the support of the local maritime community we have also made significant inroads at national level with Maritime UK, and the Department for Transport. What is the Wirral Waters Regeneration Project? 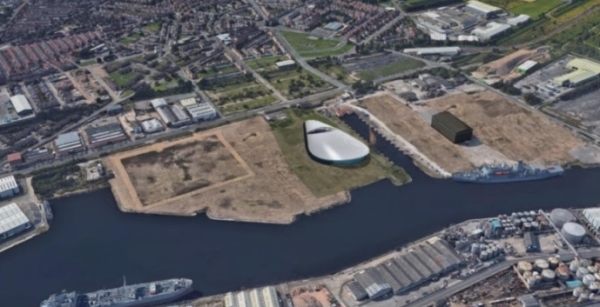 Since, 2018 Wirral Waters has started a significant building drive. Over £200m of investment has been secured to create homes, jobs, and new energy to the regeneration of the whole area. The entire project will, it is estimated, create 20,000 permanent jobs. The project of regeneration started over five years ago where massive land clearing and new infrastructure has already improved the area and prepared it for intense development across the 500 acre site. The site is the biggest regeneration project in the UK and received the largest planning permission in Great Britain in 2012. The Metro Mayor of Liverpool City Region, Steve Rotheram, is supportive of the project and excited about this coming phase of delivery. “Given our focus on skills, training, jobs and housing we are very excited about the Wirral Water project and we look forward to seeing real progress” he said. 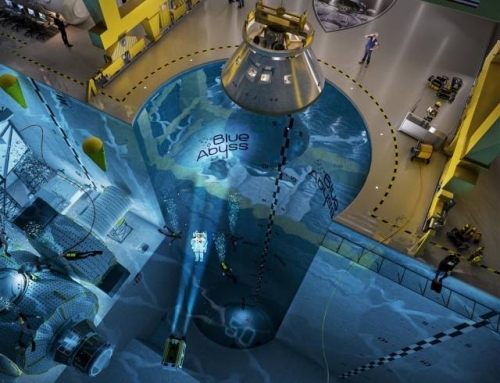 I was thrilled to be able to speak with John Vickers straight after receiving the news and couldn’t wait to find out even more about Blue Abyss Liverpool. John was clearly excited and confident about the progress the team have made to get to this stage, particularly following the disappointment of failing to secure RAF Henlow as the home of Blue Abyss. 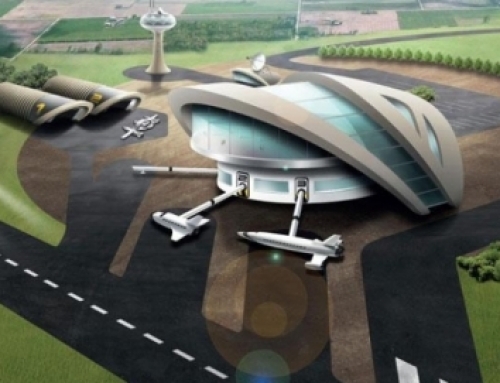 What happened with RAF Henlow? RAF Henlow had been identified as a suitable site for Blue Abyss, however, as the land belonged to the MOD, and there was considerable pressure to meet the government mandate to build housing on old MOD land, the project became less attractive as a site proposition. 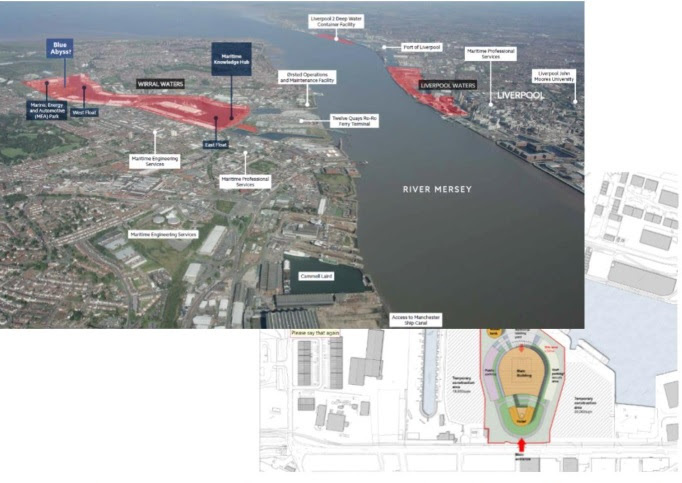 This was a tense time for the Blue Abyss team, but led to the team exploring other sites across the country, ultimately resulting in identifying the Wirral Waters Regeration project site as a potential home. So what is the latest for Blue Abyss Liverpool? Although I know a little more about the position of Blue Abyss, there is still some way to go. What we do know, and what I am able to reveal at this delicate stage of the process, is that there have been VERY positive steps. For example, Head of Terms have been signed and positive discussions are all ready taking place with all of the other participants for the whole regeneration site. The source of the funding cannot be disclosed at this time, and as with all projects of this magnitude and ambition it is only right that Blue Abyss handle all of the information they have and/or disclose with the utmost caution and due diligence. Have there been any compromises or changes to the original project? 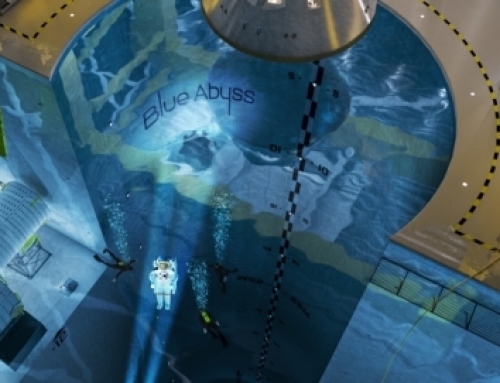 I personally believe, and this is shared by John Vickers, that the additional time that has passed since the original announcement of Blue Abyss has allowed the project to evolve and also truly cement it’s purpose in areas of marine exploration, space travel, robotics and science. John confirms there have been site visits and while there may be some small modification to the outside appearance of the building, the inside remains as planned. They also need greater consideration to the actual siting of the building, this is due to the limestone blocks that line the dry docks that were filled in many years ago. They also want to ensure the building is sited to maximise existing infrastructure and protection of history on the site, so a full historical analysis of the site is being undertaken. Does a Blue Abyss Liverpool waterfront location make a difference? John explained that the previous site of RAF Henlow had received mixed feedback from some people who asked how such a facility could be sited away from water. When the new site was first identified as a potential home everything seemed to fit. It would have a deep maritime connection and be located on a site of innovation, regeneration for future generations. So our mindset is automatically more open and accepting to this location. It also has a number of practical advantages for movement of maritime equipment via the River Mersey too. Tell us a bit more about Blue Abyss Liverpool, for freedivers! The water temperature will range from 19 – 23 degrees at all times. This is to ensure a realistic temperature is managed at all times. 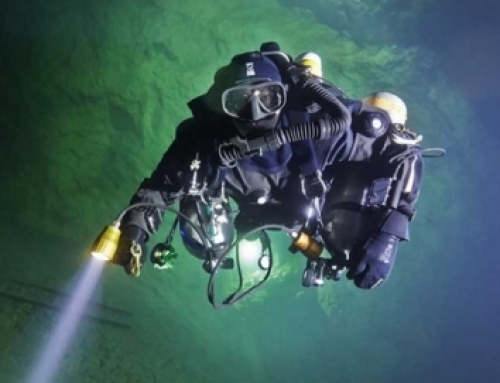 Diving in hot balmy locations still means the water temperature gets colder the deeper you dive – which is often quite a shock for some divers. This temperature will make the humidity above the surface much more comfortable for users too. There will be 42,000 cubic metres of water which will ordinarily be chlorinated, but can be changed to salt water if there is a prolonged requirement for salt water. There will be anchor points for lines at 1 metre square intervals to enable freedivers to fix a line. The pool will be able to accommodate up to 260 divers at the same time, with safety cameras sited in numerous locations to ensure safety. 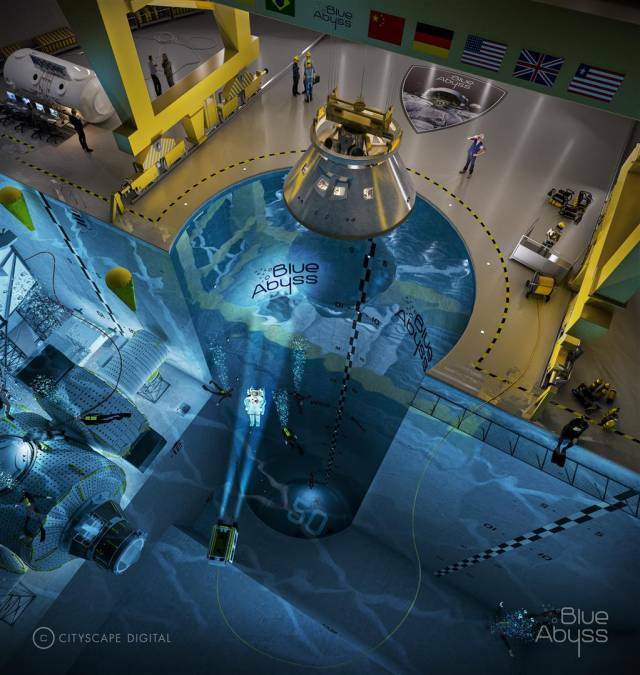 The pool will be able to have multipurpose use at the same time, so while you’re freediving, there could be astronaut training ongoing on one of the other platforms and robotic testing elsewhere. How exciting is that?! The facility will be open to divers, evenings and weekends, however subject to bookings (a bit like a leisure centre) there will also be opportunities to use the facility through the week too. Since the inception of Blue Abyss back in 2016, the project has searched for a home with the right infrastructure to support such a huge and ground breaking project. I’m thrilled that Merseyside has been settled on and Blue Abyss Liverpool will be a world leading hub for robotics, space science, diving and more. 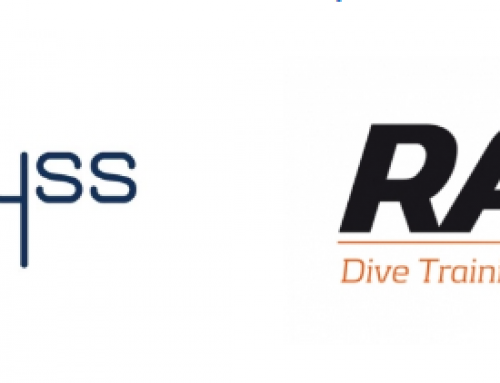 I have a very personal connection not only with my work as freediving consultant for Blue Abyss, but also with Merseyside. My mother is Liverpudlian and half my family still live in Liverpool and the Wirral. I can’t wait for the evolution of Blue Abyss Liverpool over the next few months and years and look forward to bringing you more exciting news as the project unfolds.